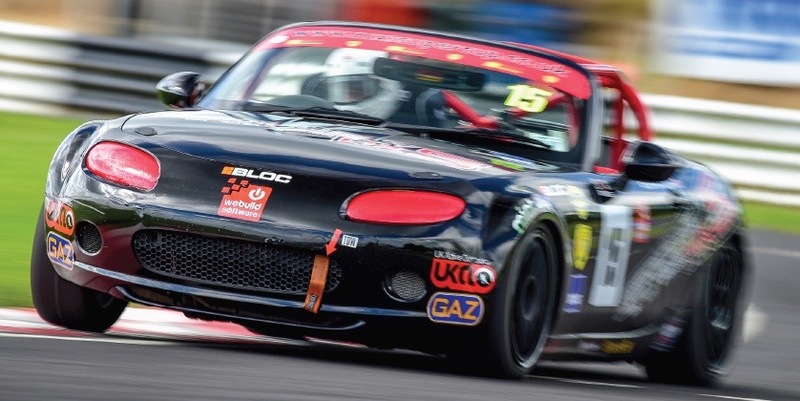 SURREY-based racing driver Andrew Caird is halfway through his inaugural year racing in the BRSCC Mazda MX-5 SuperCup, one of the most competitive and closely fought race series in the country. It features full grids containing arguably some of the UK’s top club level drivers, including past champions from other formulas and former British Touring Car Championship race winner Paul O’Neill. The wheel-to-wheel, bumperto- bumper action is played out at Britain’s premier motorsport venues in an exciting 19-round championship. So far, a combination of technical problems and good old-fashioned bad luck have dogged Andrew’s season. As a result he is currently sitting 21st, about midpoint, in the 40-strong championship table. “I missed practice due to a combination of a technical issue with the car which delayed my start and a red flag that ended the session early. The result was that I was still learning the track during qualifying.” He continued: “If you had told me at the beginning of the season that I’d be finishing races in 16th or 17th out of 30-odd cars I’d say ‘Okay it’s a transition year, I think that’s where I should be’, but following the top ten pace I showed at Silverstone my hopes and expectations haveSteve Andrew, but I’m still lacking in my been raised a little bit. 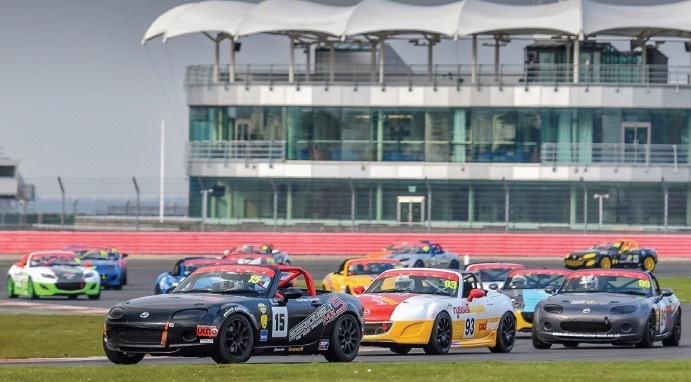 With six races completed, and circuits like Snetterton, Cadwell Park, Croft and Donington to come, the 43-year-old from Laleham near Staines is aiming to get his season back on track. Last year Andrew spent his first season of motor racing competing in the BRSCC’s sister MX-5 Championship for older Mk1 cars. He got bitten by the bug but found progress in the popular one-make series frustrating when he saw a big difference in performance between supposedly equal cars. 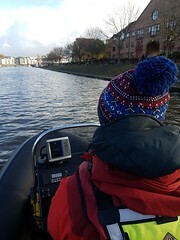 He said: “It was irritating because you would come out of a corner with equal speed and yet by the end of the straight the other guy had gained three car lengths. “I was hoping that the SuperCup field would be as competitive and close, but driver ability would be more of a factor. I tested a Mk3 at Donington towards the end of 2014 and I really liked the way the car handled and I immediately felt comfortable in it. 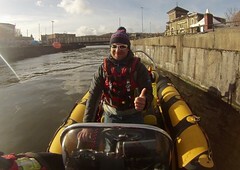 The extra power, weight and sticky tyres make it less forgiving. It’s a lot more sensitive to chassis adjustment too and that’s taking me some time to get to grips with. He added philosophically: “ I am serious about my racing but realistic. I know it will take hard work and time to progress through the rankings. And although I’ve been through a rookie year I’m still a novice, in a new car in a new series. 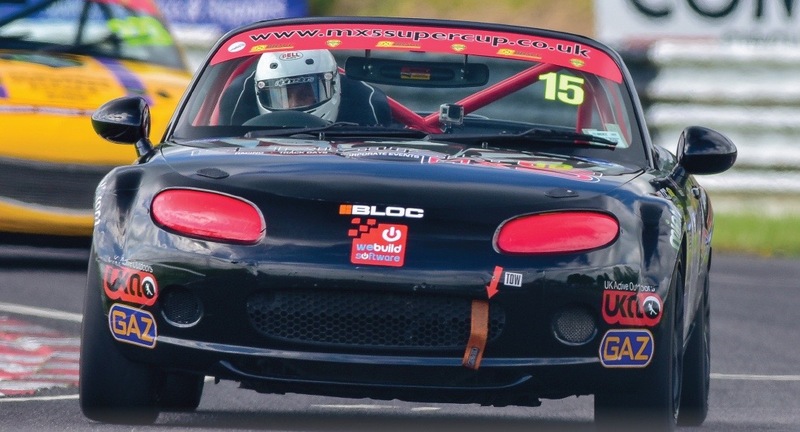 Andrew would like to thank all his sponsors including Bloc sunglasses, Moss Europe, We Build Software, Mint Alloys, UK Active Outdoors and Seriously MX-5.